Item # 309861 Stash Points: 7,995 (?) This is the number of points you get in The Zumiez Stash for purchasing this item. Stash points are redeemable for exclusive rewards only available to Zumiez Stash members. To redeem your points check out the rewards catalog on thestash.zumiez.com. 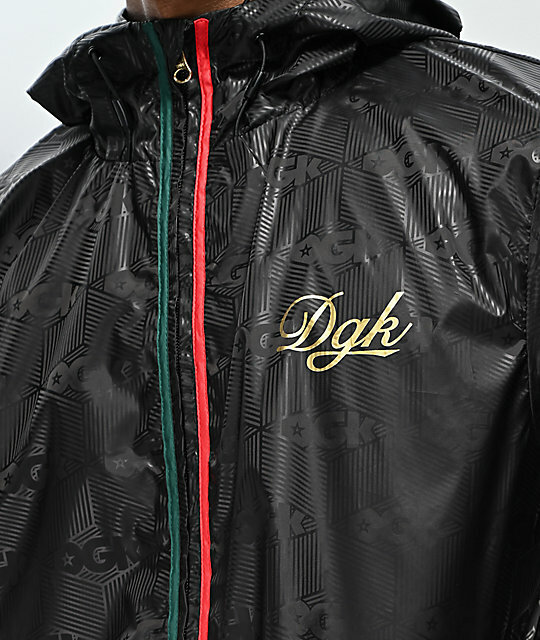 Chic and highly refined, DGK unveils their latest Lux Black Windbreaker Jacket. 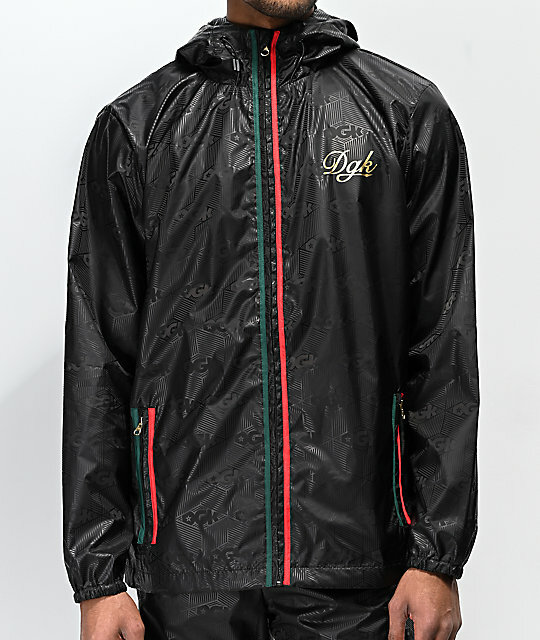 Displaying an awe-inspired composition, this water resistant jacket features a subtle DGK logo script and striped geometric print pattern throughout, while highlighted with green and red trim found along the zippered plackets. 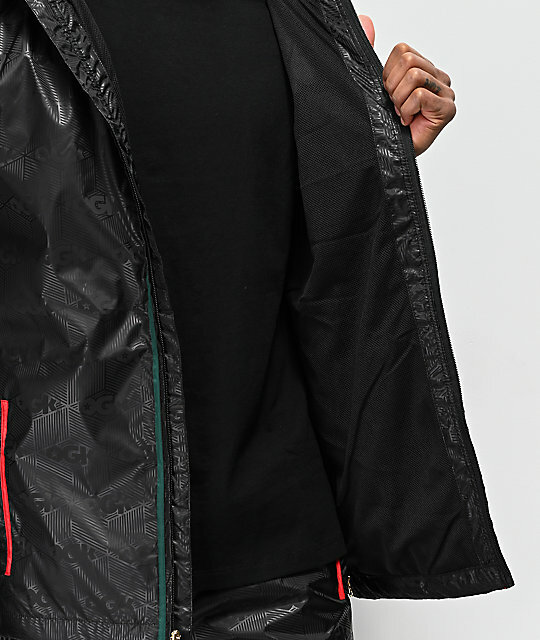 A nod to high-fashion appeal, the Lux Jacket is both stylish and functional, making it a versatile addition to any wardrobe. 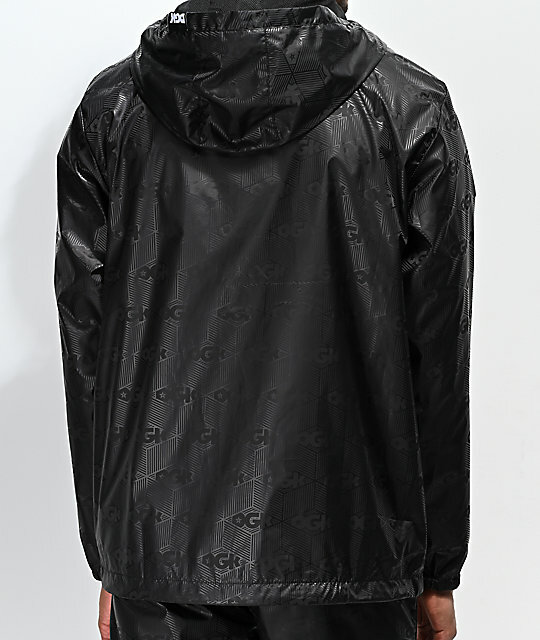 Lux Black Windbreaker Jacket from DGK.